Transporting the player back to the ancient Arabic world, Arabian Nights slot game is a 10-line, 5-reel video slot, featuring Wild and Scatter symbols and free spins. Suited to lovers of Arabic design, Arabian Nights music centers on culturally generated Middle Eastern sounds and rhythms. In fact, players will find themselves easily captivated by the tunes. With basic settings, Arabian Nights has a minimum bet of 1 coin on one bet line, and a maximum of 1 coin over ten bet lines. Therefore, the total bet is ten coins. Coin values in Arabian Nights are 0.50 coins and are not changeable. Consequently, the maximum amount bet in any one spin is 5 coins. The RTP or return to player in Arabian Nights is larger than industry standards. This standard then supports gameplay fairness. When playing Arabian Nights, a player can expect to have an RTP of around 92%. Consequently, this applies to all players, not individually. 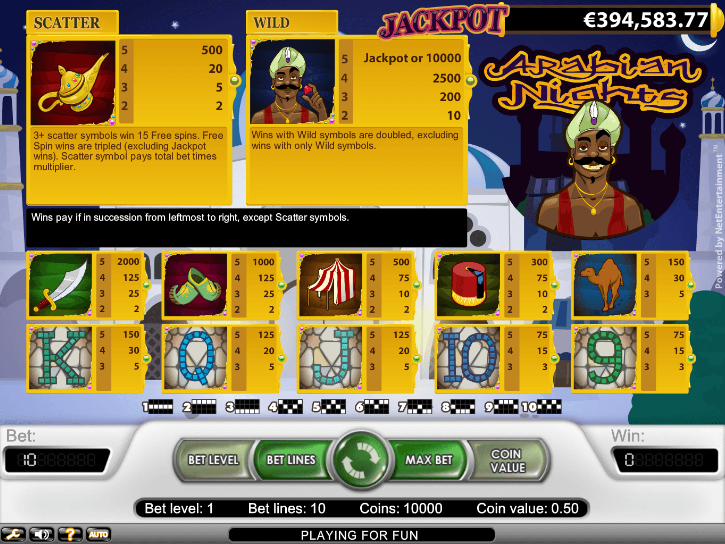 To win the Arabian Nights jackpot, players must have a maximum stake. They must also see 5x Arabian Prince symbols on the reels to win. 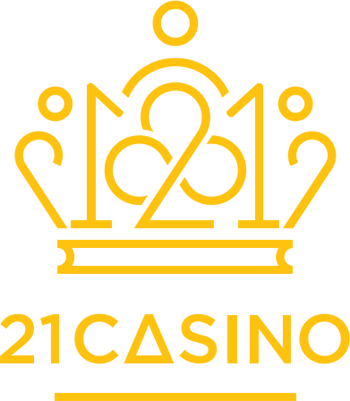 If the player has not place a maximum bet, then instead of receiving the progressive or local jackpot, they receive 10,000 coins. Subsequently, this is the next largest payout possible after the progressive and local jackpots. Players do not have to play an extra game to win the progressive or local jackpot. There is no bonus game. Therefore, players just have to match game symbols to claim the prize. Standard symbols in Arabian Nights include a sword and shoes worth 1,000 each, a tent and Arabic hat worth 300, a camel and king worth 150, and a Queen and Jack worth 125, as well as a Ten and Nine worth 75. Scatter symbols, lamps, typically activate free spins in Arabian Nights. As a result, this feature enables players to win free coins without any risk. Higher value symbols are represented by a tent, fez, camel and curly toed shoes, as well as a sultan and these fill the screen in Arabian Nights. A dark, alluring background twinkles like stars in the night and is reminiscent of the evening. Crickets chirp in the background giving the player a soothing, melodic feel, until an owl hoots. The Arabic Man is the Wild multiplier in the Arabian Nights game. When this man appears, he can substitute any other symbol in the game to create a winning combination. The Wild symbol can also double payout combinations. Plus, five Arabic princes trigger the impressive progressive jackpot. The Scatter symbol in Arabian Nights slot game is an oil lamp. The Scatter symbol can be found anywhere on the 5-reels and activates when two oil lamps appear. If three Scatters trigger, then the Free Spin activates, which gives a player more chances to win during gameplay. When three Scatters trigger in Arabian Nights, then the Free Spin bonus round appears. Players then receive 15 free spins. If a player wins while they are in free spin mode, then their winnings triple. Rather than just watching the reel’s spin, after hitting the button, players can use the Skill Stop. This unique feature allows a player to control when the reels stop. Hence, players can test their skills at forming a winning combination, and claiming outstanding rewards. With an Auto play feature, Arabian Nights allows a player to rest their tired game playing hands. Simply set this feature and watch the computer spin. This feature adds intrigue as the reel’s spins into place. With a pooled and local jackpot, Arabian Nights offers players the chance to win big prize pools. This feature occurs because every time a player spins, anywhere in the world, the pool increases. The local jackpot, on the other hand, occurs in one casino. Therefore, when a player spins Arabian Nights in a specific casino, then the prize pool for that casino increases. Progressive and local jackpots add a new element to gameplay and allow Arabian Nights players the chance to pocket millions. Reported progressive jackpots have been over 7 million Coins, which can be life changing. Starting position jackpots range for €5,000 locally, up to €30,000 progressively. Guaranteed payouts for both local and progressive jackpots are 125,000 coins. Average payout are €1.8 million, with a winner typically taking home the jackpot on average every 10 weeks. 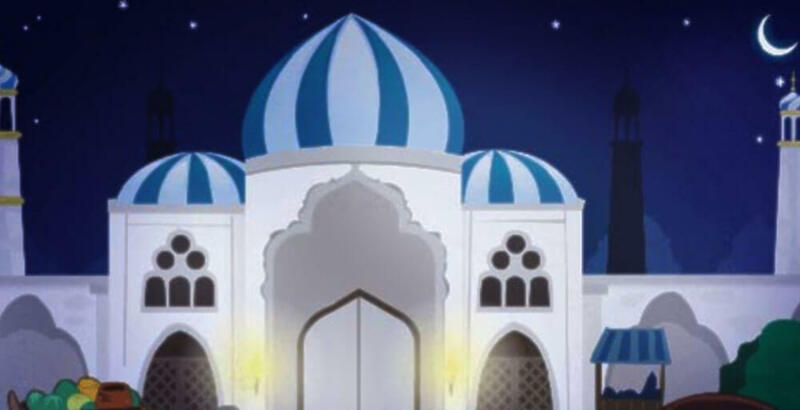 The largest Arabian Nights jackpot ever won is €4.8 million. Gamers wishing to understand Arabian Nights better, can click on the pay table, situated near the Settings Icon found on the bottom, left of the screen. This feature enables players to gain insight into the game and to plot their strategy. Those players who are new to Arabian Nights can also play for free. Thus, practicing their slot skills and improving their game play before they start betting. By and large, this slot is one that creates a sense of excitement. It is thrilling, totally enjoyable and can offer a player with excellent rewards when playing. With excellent sound, theme and graphics, this Net Entertainment slot is one not to miss. Plus, with free game play, it’s ideal for beginners looking to cut their teeth on a game that won’t hurt their wallet. Ideal for iOS and mobile devices, or desktop and laptop computers with Mac, Windows or Linux operating systems, Arabian nights is playable anywhere day or night. 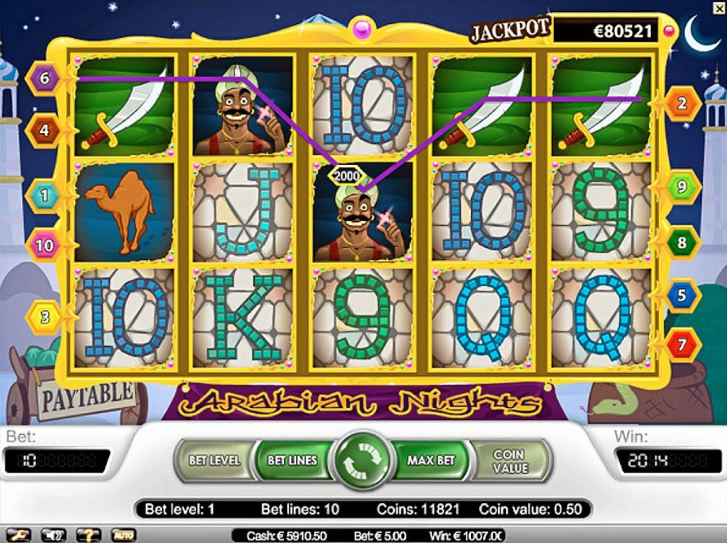 As a fully interactive online slot, Arabian Nights needs no downloading. Instead, players simply find the slot online and can play via a browser anywhere in the world.